In China, the tradition of giving red packets to celebrate the Lunar New Year is enjoying a resurgence in popularity online. 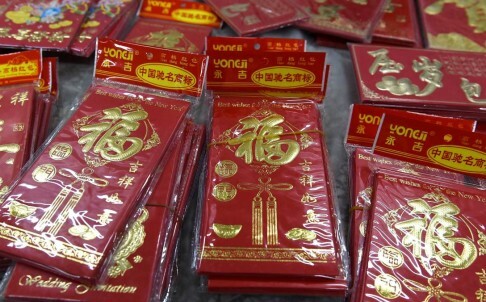 Whether digital red packets will become a new “tradition” to celebrate the Lunar New Year has become a talking point among mainland state media. The digital version of red packets effectively combines online interactive games with the tradition of older generations giving red packets to their offspring and friends. They were first launched by online shopping and internet companies last year. But this year, they have become a nationwide phenomenon. Digital red packets come in several varieties – for example, some are offered by companies as a publicity stunt. But one of the most popular ways to send them to friends is via the online messaging service WeChat. Users can deposit money with WeChat Wallet, an online payment platform, to be distributed in virtual red packets among a group of online friends. A graphic suddenly appears in the middle of a conversation stream and only those who are quick enough to click can “grab” it to get the money. Internet and online shopping giants Tencent and Alibaba this year offered millions of yuan in virtual money or shopping coupons packaged as red packets, or hongbao, for their customers. Other internet companies, such as the online shopping mall JD.com and the taxi-booking app provider Kuaidi Dache also said they would hand out coupons. Even the People’s Daily, the official mouthpiece of the Communist Party, dispatched virtual envelopes containing up to 10,000 yuan (HK$12,600) to users of its mobile app during the holiday period. Such games have become a national frenzy even though the amount of money one can get is typically very small – one or two yuan – but mainlanders seem to enjoy the chase more than the money itself. According to Tencent, on New Year’s Eve alone, 1 billion yuan’s (HK$1.26 billion) worth of virtual red envelopes was sent through WeChat. Alibaba said 240 million packets, worth some 4 billion yuan, had been sent through its Alipay’s 683 million users. The national frenzy has become a talking point for state media, and even different branches of Xinhua ran commentaries from different perspectives. Xinhua’s Wuhan branch wrote on its website yesterday that the Spring Festival, as the Lunar New Year celebrations are called, should change with the times. In the past, the holiday was celebrated with lantern shows, temple gatherings or Chinese opera. But in the digital era, digital red packets have “preserved the core values of family reunions, welcoming the new, getting rid of old things, and wishing for a prosperous year,” it said. However, Xinhua’s Xian branch took a different slant, saying many people had ignored their families in their obsession to grab digital red packets, which requires constant attention to one’s mobile phone. “Anything that is excessive causes harm … Picture a son who has travelled a thousand kilometres home only to be glued to his mobile phone screen the whole time while his parents, who have longed to see him, are ignored,” the commentary said. ← The ancient art of trees. A woman spends 14 years photographing the oldest trees in the world.